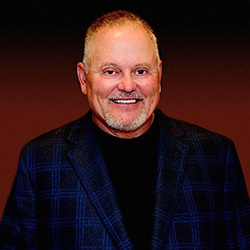 Bob Parsons, best known as the founder of GoDaddy, is an American entrepreneur, philanthropist and U.S. Marine Corps Vietnam Veteran. An avid businessman, Parsons understands the need for reliable financing, and created YAM Capital to be a lending company that would provide fast and flexible financial options for its clients. YAM Capital is now the largest private lender in Arizona. YAM Capital is one of several sister companies under Parsons’ YAM Worldwide Inc. which houses his many entrepreneurial ventures including: Parsons Xtreme Golf (PXG), Scottsdale National Golf Club, Harley-Davidson of Scottsdale, Southern Thunder Harley-Davidson, GO AZ Motorcycles, The YAMWOOD Foundry, Spooky Fast Custom Finishing, BIG YAM, The Parsons Agency, SNEAKY BIG and YAM Properties. In 2012, Parsons and his wife Renee founded The Bob & Renee Parsons Foundation.